Re-useable Bingo Hard Cards (Pkg. 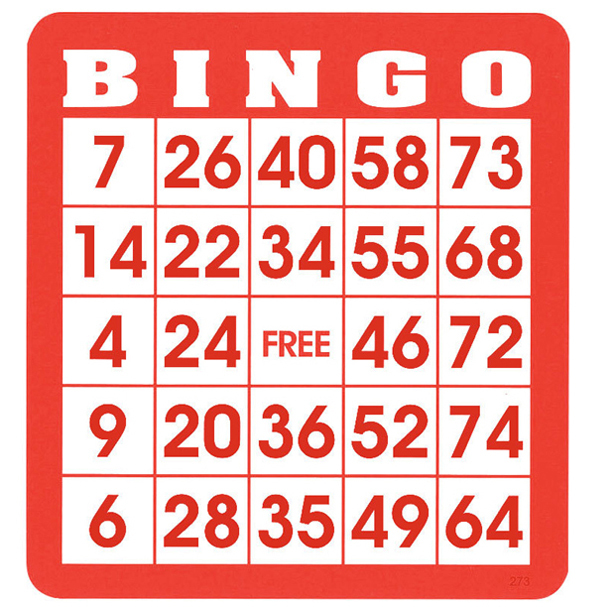 50) are ideally suited to use with bingo chips. These cards feature large 1/2 inch numbers for easy viewing and are printed on a 5 1/2 inch high x 5 inch wide coated light weight cardboard stock for durability and can be used over and over again. These cards do need bingo chips to mark the called numbers. Each card has a unique serial number in the lower right hand corner.